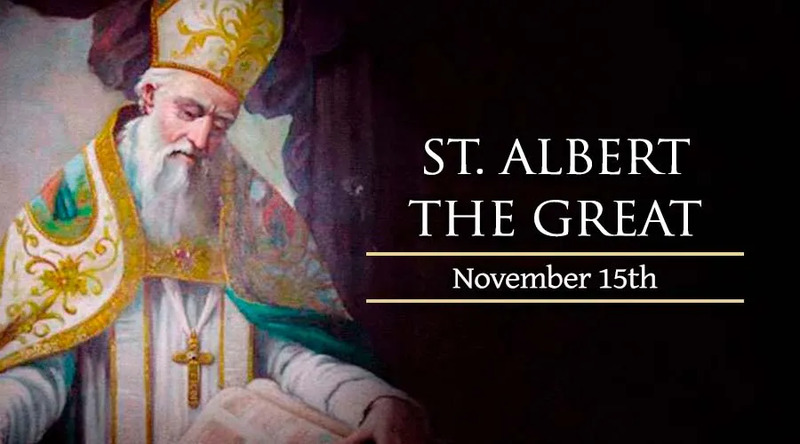 St. Albert the Great is a Doctor of the Church and the patron saint of scientists. The native German joined the newly formed Order of Preachers (Dominicans) in the early 13th century. He earned a doctorate from the University of Paris and taught theology there and in Cologne, Germany. Albert became known as “Great” because of his intellectual abilities; he was a respected philosopher, scientist, theologian and teacher, and was well-versed in Arabic culture. One of his students, who later became a great friend and built upon his Scholastic method, was Thomas Aquinas. He died Nov. 15, 1280.